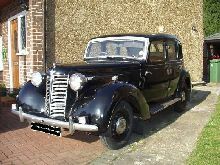 As with the other saloons in the Austin range the 12HP first made its debut in 1939 and remained in production, through the war years, until 1947. Essentially the 12HP was a larger version of the 10HP model, being offered only as a 4 door saloon, although with a different floorpan construction to the smaller cars in the range. 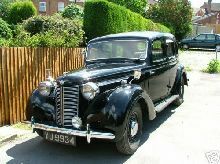 The 12HP had all of the usual pre-war Austin features including rod-operated drum brakes and a 1525cc sidevalve 4 cylinder engine. 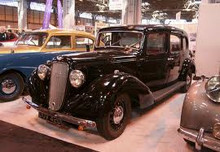 Austin's were considered as being quality family cars, therefore leather upholstery and a sliding "sunshine roof" could be found adding a touch of luxury to this medium sized saloon. 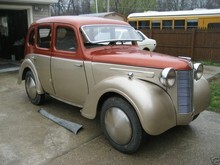 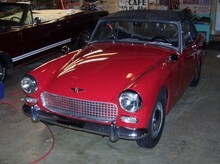 Production eventually ceased in 1947 after some 8,600 12HP saloons had left the Longbridge works.